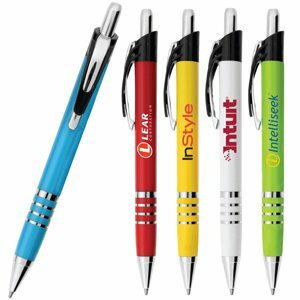 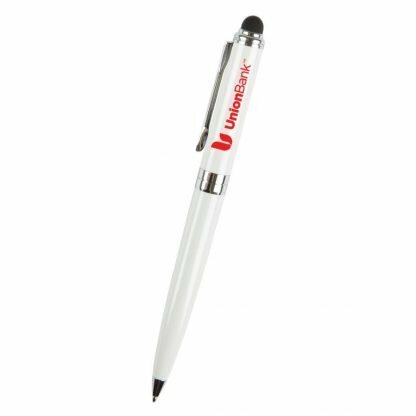 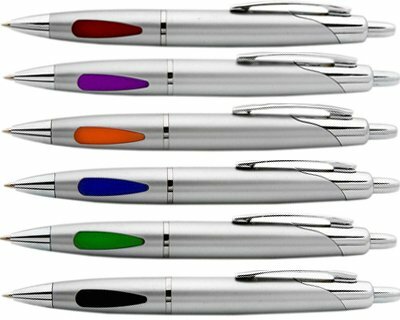 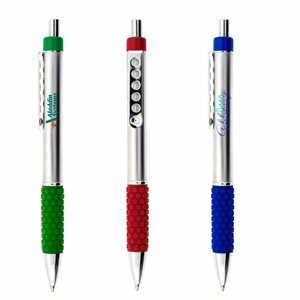 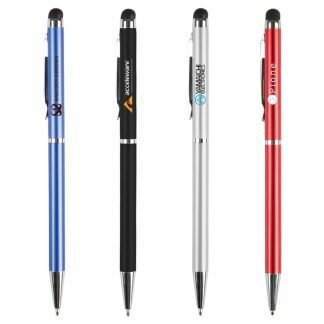 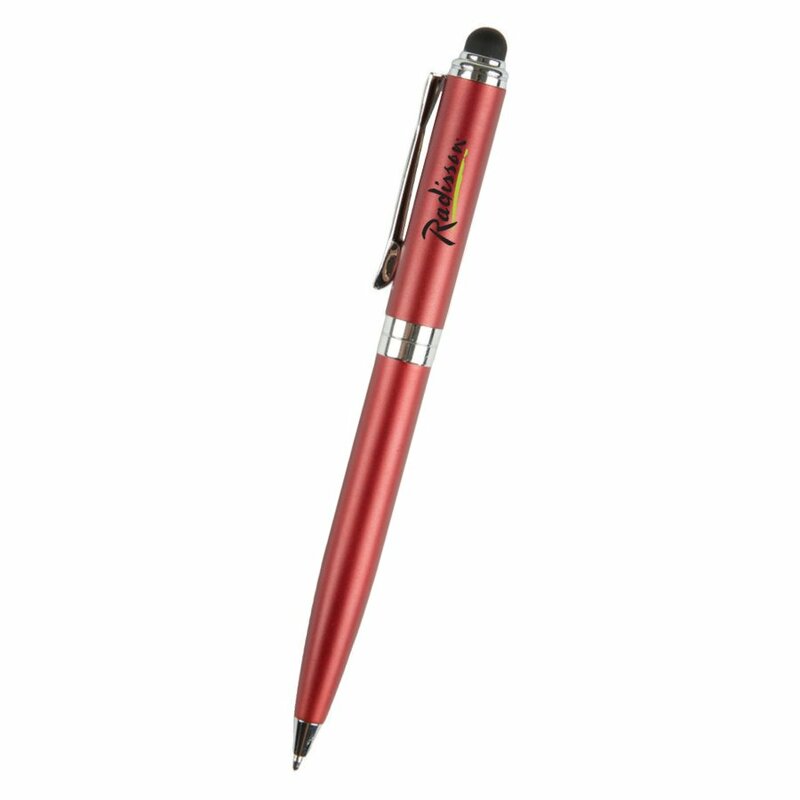 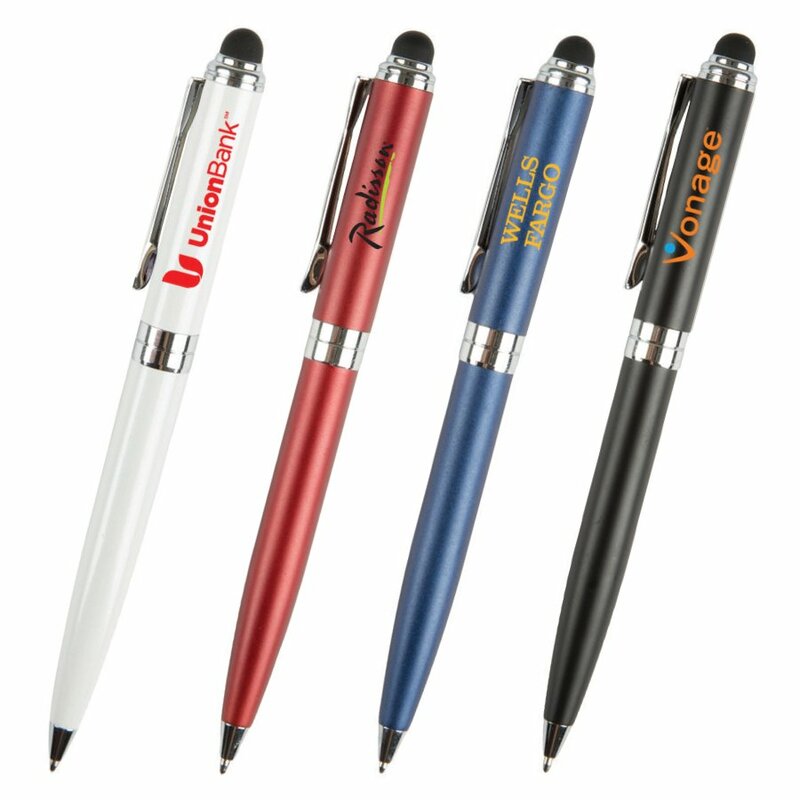 The Canterbury Stylus pen is a metal pen which works on touch screen devices. The Canterbury Stylus pen is an elegant brass twist action pen with silver accents and a stylus. 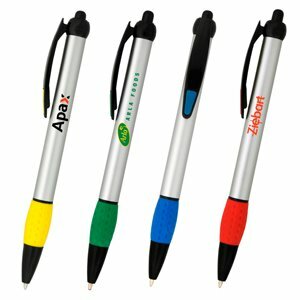 Screen / Pad imprint 35mm w x 75mm h.